The Sweet Spot: A shared love of paper. A shared love of paper. 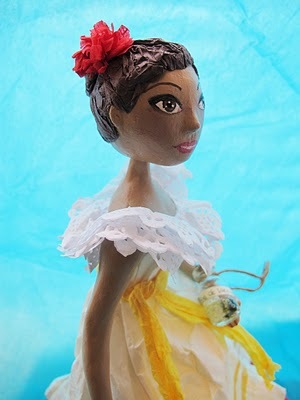 Today's post is about an amazing self-taught paper artist that is also a personal friend. It's always great to meet people and after years realize you have a shared interest. Case in point, Melanie from MannM.net. I knew Melanie was crafty and had been told by friends that she was very creative, but I never knew that she and I shared such an intense love of paper. Melanie is not a quiller but she is certainly a very talented paper artist. I was recently catching up on her blog and came across a post that tugged at my heart strings. Being the huge mush-ball that I am, I was really touched by a post that included a tribute to her grandmother. I was raised by my grandmother so, to me, grandma's totally rock. Melanie is a third generation Puerto Rican and she tells her (very funny) story of not being able to speak Spanish but still loving her culture. I can relate because my children are second generation and (much to my dismay) they have not embraced the language. It's an issue that many of us face raising children in an English-speaking country while trying to keep our language and culture alive. While my boys kind of "kill" the language any time they try to speak it, they love telling everyone that they are Puerto Rican. And they loved visiting for the first time a few years ago. 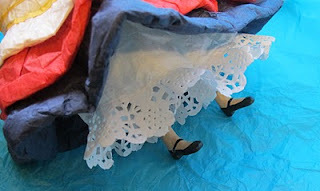 Going back to Melanie, I am totally floored at how she takes paper to new levels. 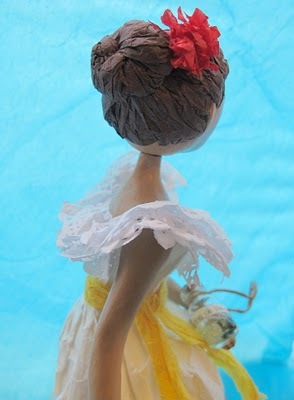 She created a doll named "Ilia" (her grandma's name). 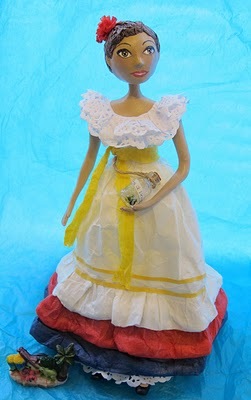 The doll is dressed in typical Puerto Rican clothing and holds a small bottle full of bay water from one of Puerto Rico's bio-luminescent bays. 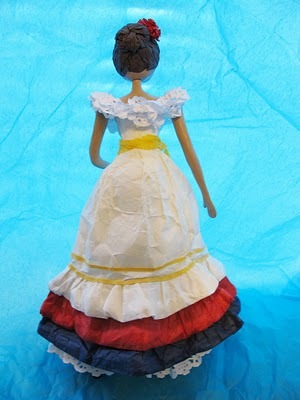 Let me reiterate...the doll is (almost) ENTIRELY made of paper!! Ok?! I can almost smell the warm ocean breeze and hear the coquis singing me to sleep. I love how she was able to capture our culture and include a touching tribute to her grandmother. Ilia is not available for sale as she was gifted to the real Ilia, but Melanie has a shop on etsy here, where she sells her other amazing paper creations. You HAVE to check out her hot air balloons...for real! See why I love paper? Thank you for your visit and for becoming one of my followers! 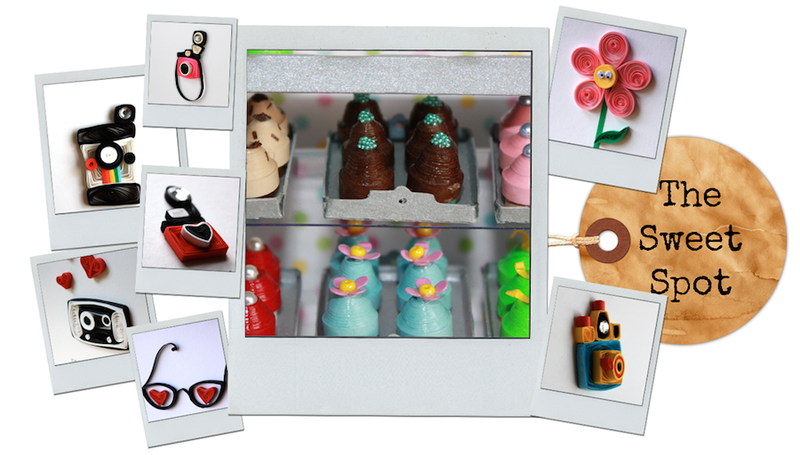 I am glad to discover your blog, just beautiful things I found here! 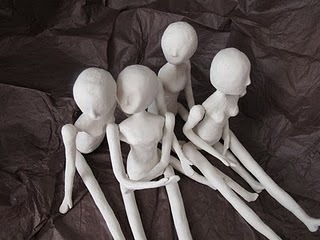 These dolls are amazing! Congrats to your friend!